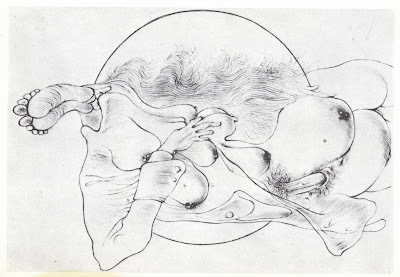 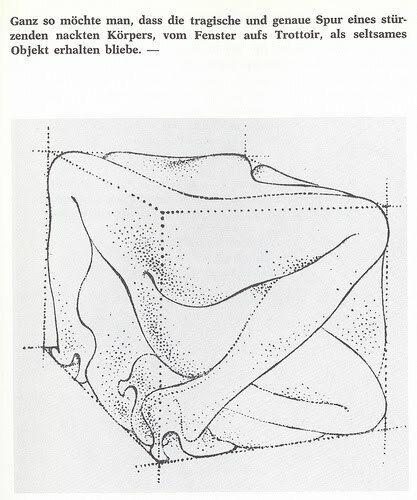 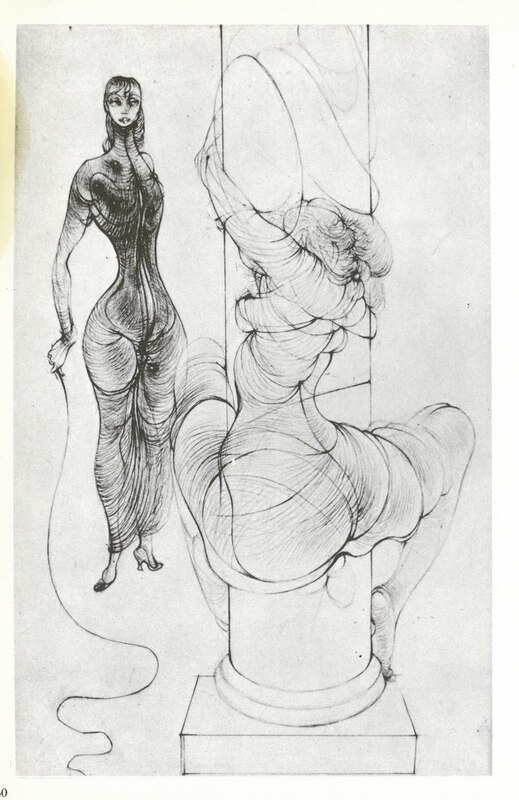 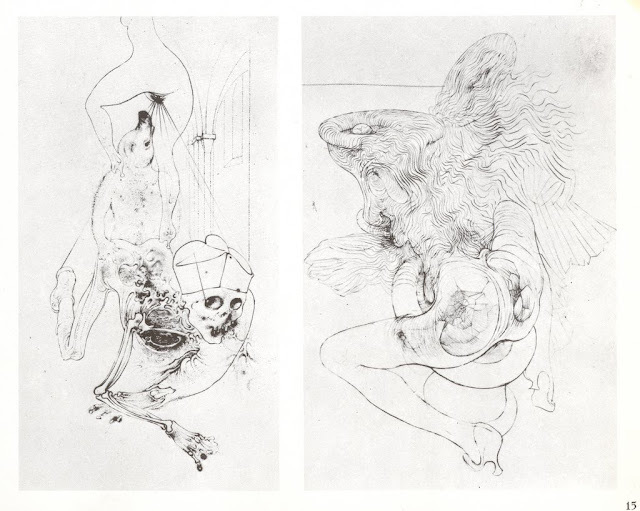 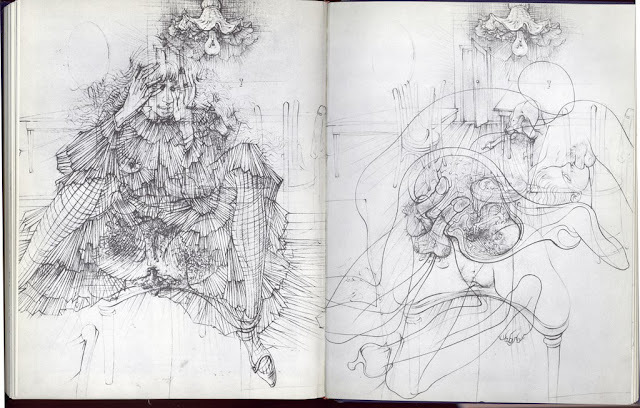 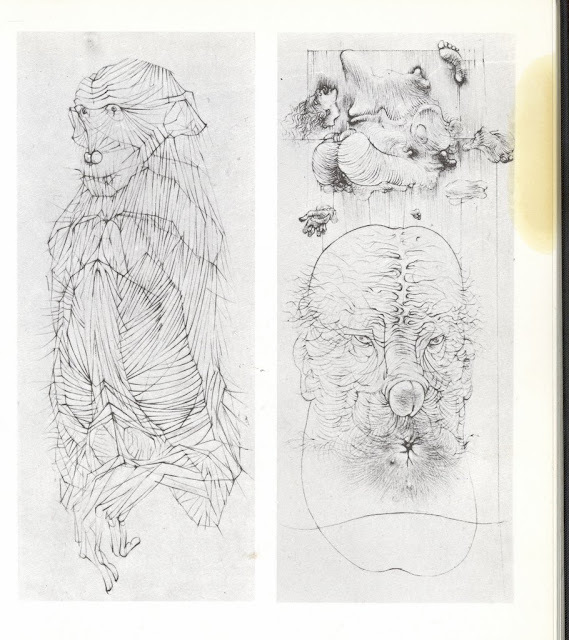 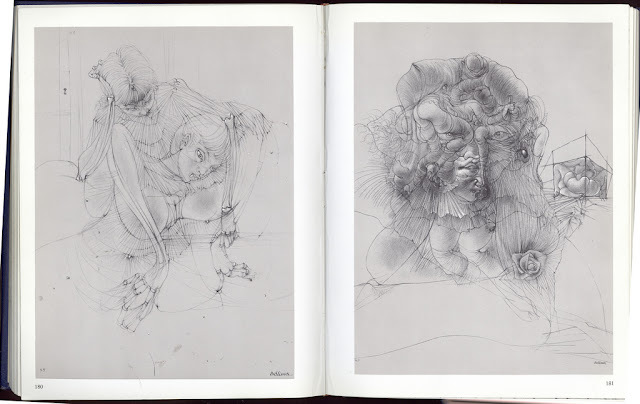 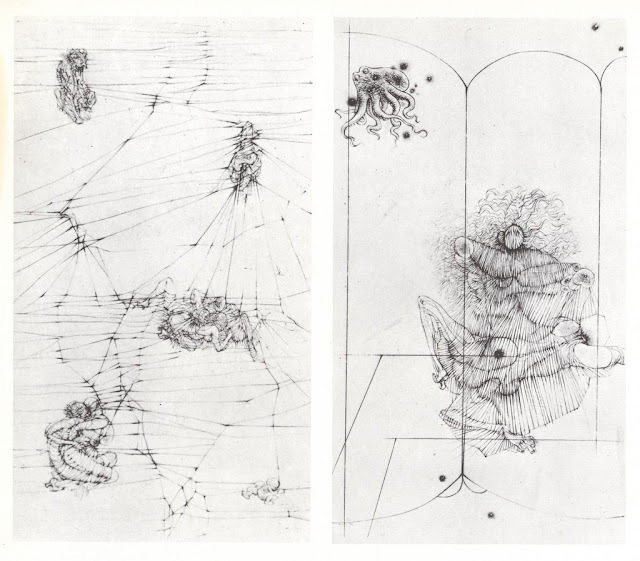 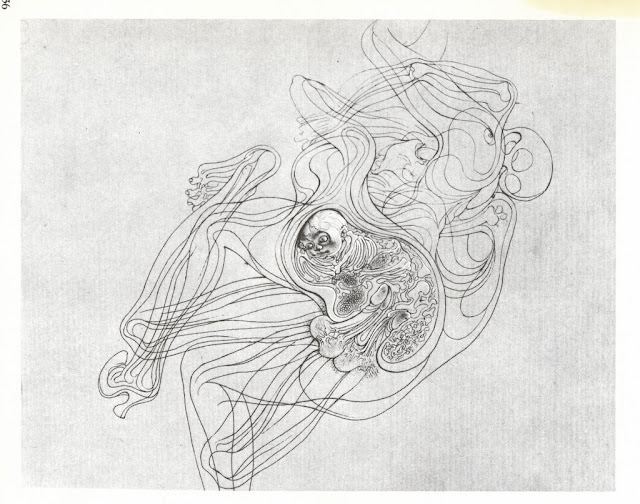 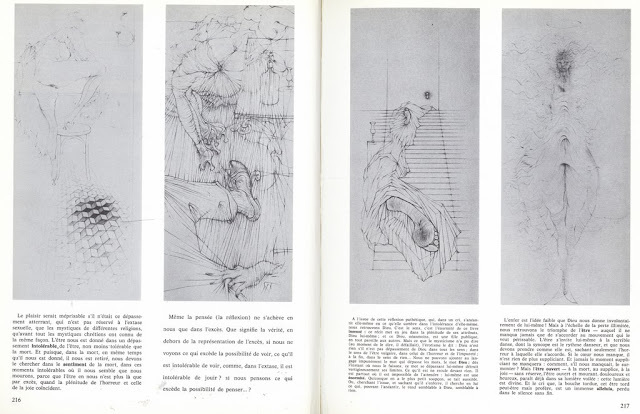 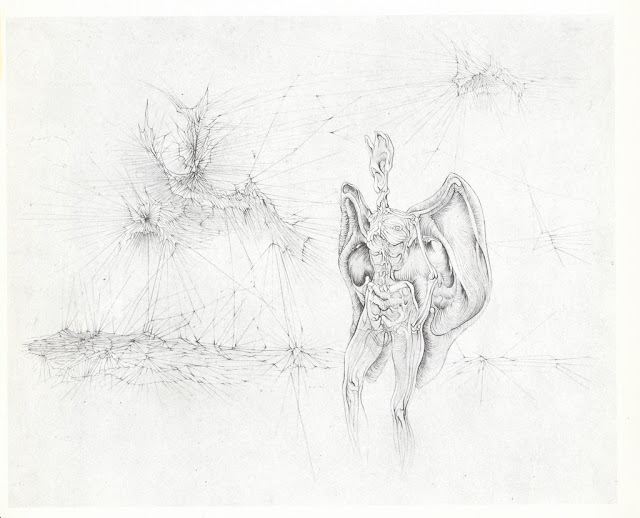 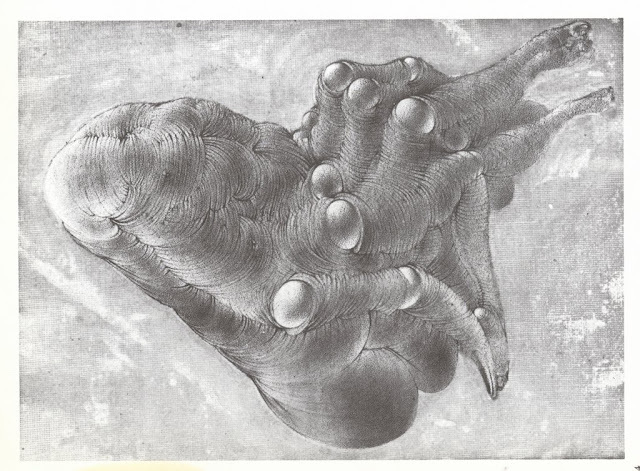 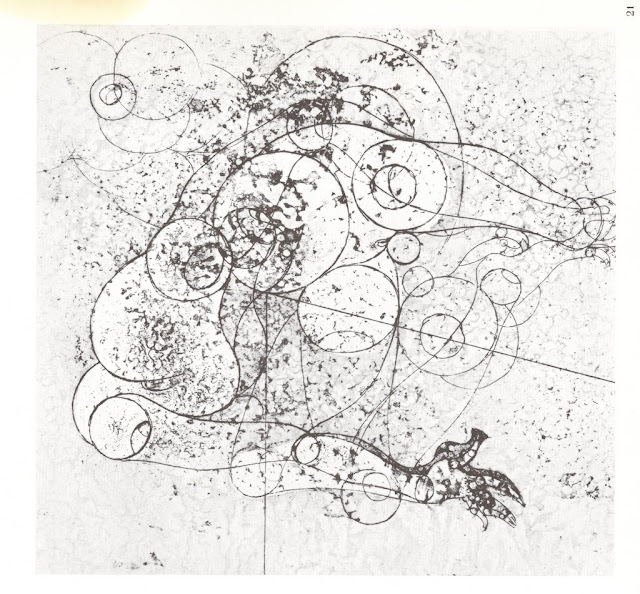 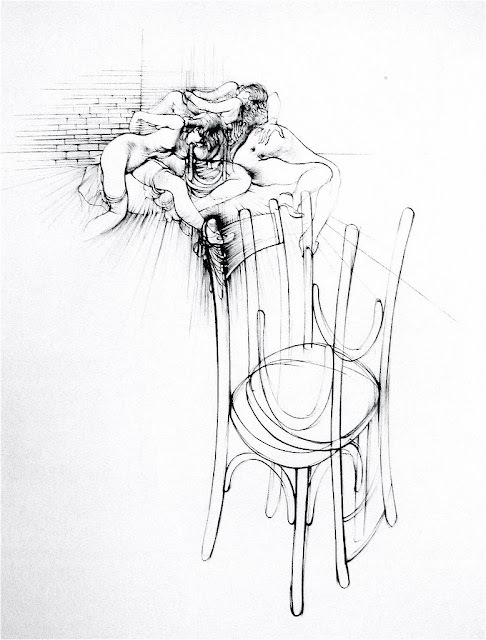 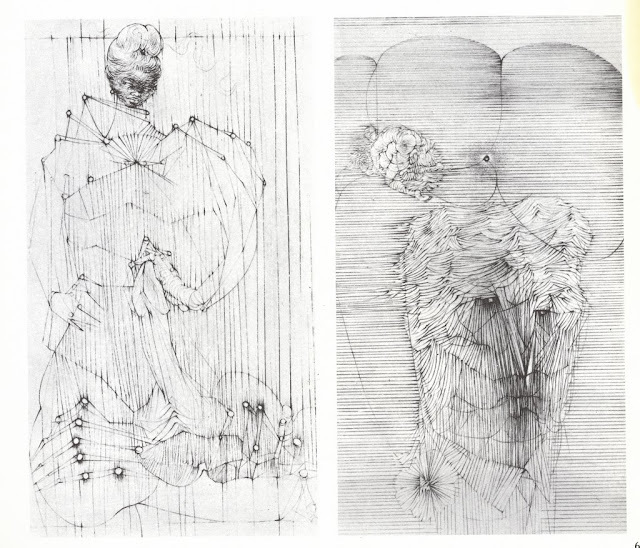 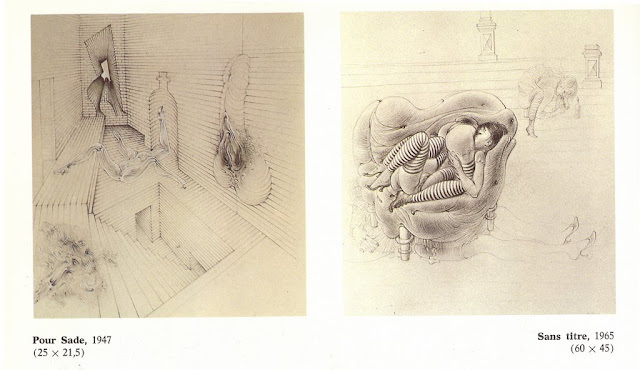 I have long known of Bellmer's Doll installations but was surprised to see his name put to a series of drawings I discovered in a book by Bataille. 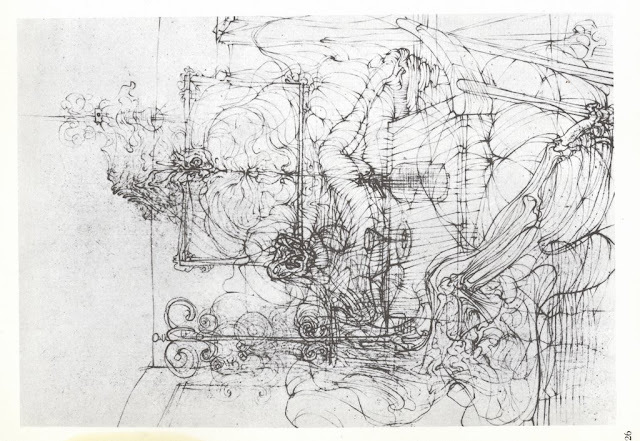 I probably shouldn't have been surprised, and I wasn't in regards to the themes of the drawings, with their consistent interplay of Eros and Thanatos. 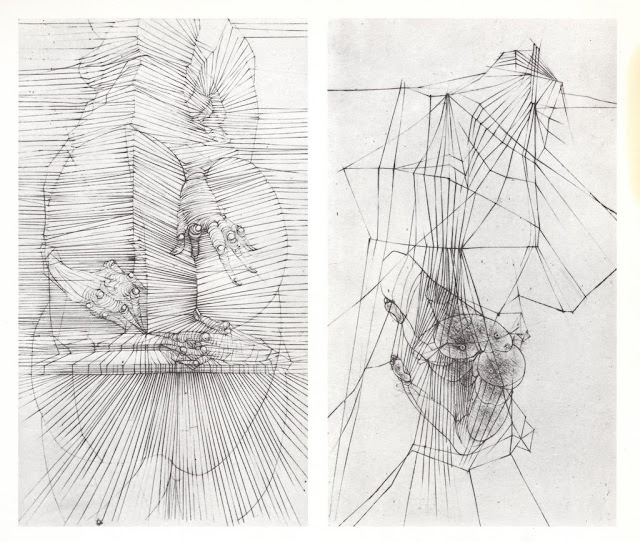 What surprised me was the incredibly intricate,engaging, and original linework I observed. 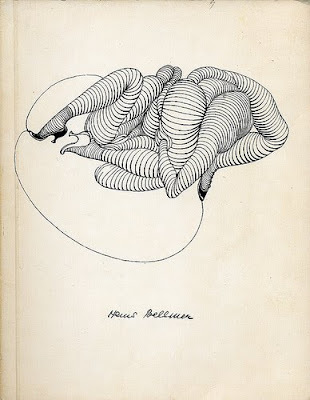 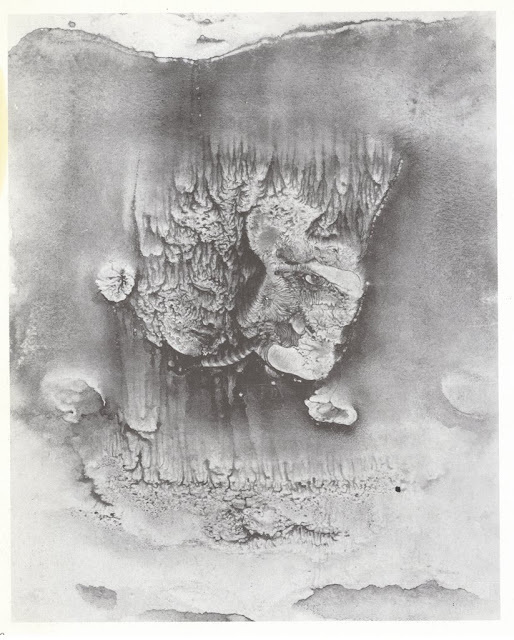 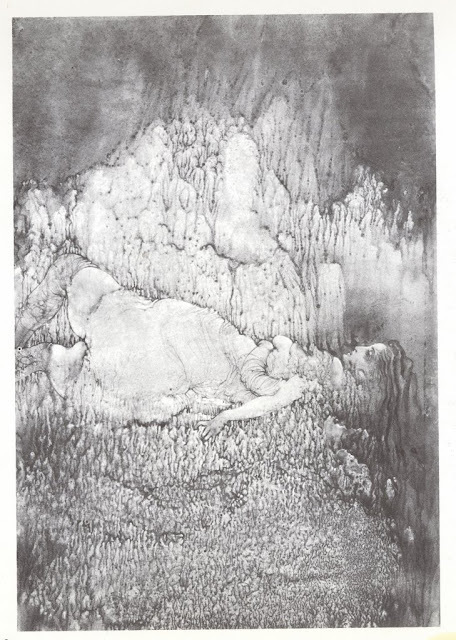 The obsessive pulsating form, penetrating, searching--destructive markmaking, hard and soft encasement. 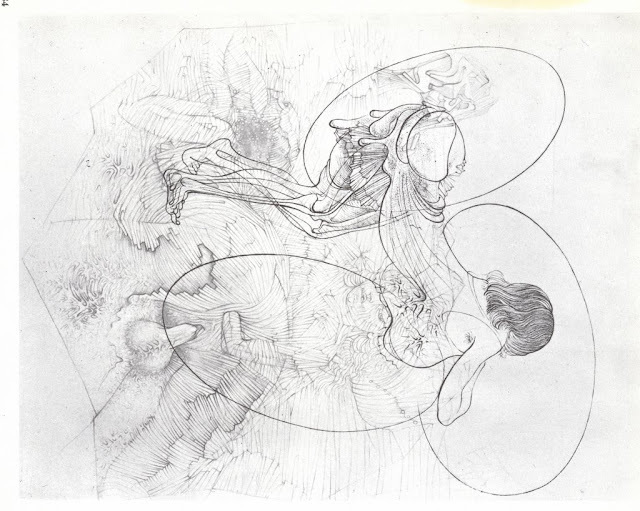 Incredible work. 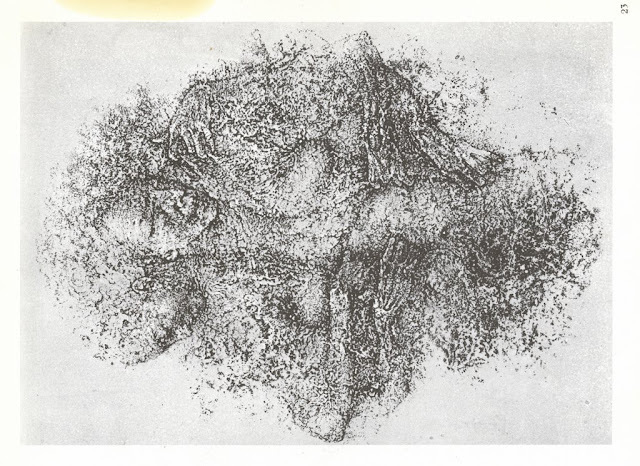 I strongly reccomend you click on the images and check out the detail. 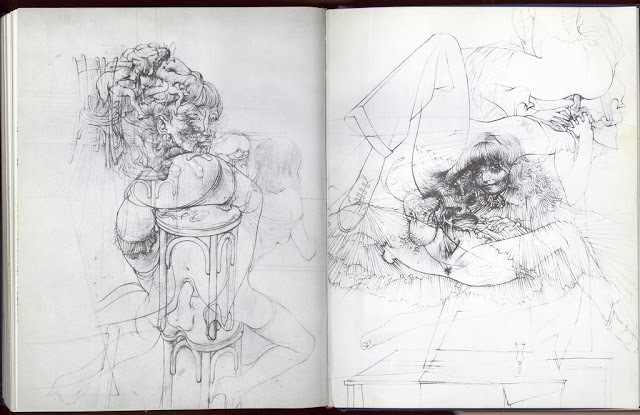 Su muñeca es mucho mejor que sus muñecas..
Could you write the name of the book (maybe edition and year too) you took these from?